Pure Gear's PureSwitch smart plug lets you easily manage your energy use and puts convenience at your fingertips. Remotely switch household appliances on and off. Better yet, set them on a timer so you don't even have to think about it. PureSwitch features Apple HomeKit technology, providing an easy and secure way to control your HomeKit-enabled accessories from your iPhone, iPad, or iPod touch. It also includes an always-on, built-in USB charge port for easily keeping your iOS devices powered. When you try to set it up it says that its incompatible with your wifi network. Apparently only works on a 2.4 GHz wifi network which is not stated on their pa When you try to set it up it says that its incompatible with your wifi network. Apparently only works on a 2.4 GHz wifi network which is not stated on their packaging or site. My whole HomeKit it set up on a 5 GHz so I will be returning this item. App is easy to set up, and the device sets up and works perfectly on our 2.4G wifi. Can be controlled via HomeKit on a device using our 5G wifi. No problems! What is the maximum wattage rating of the devise? 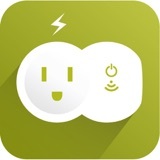 PureSwitch app and connects to your existing Wi-Fi using the enabled smart energy module. Its unique built-in USB charge port can conveniently charge another device at the same time.